Rainer Spekowius founded the INTOSOL Business in 2003, having run a successful public relations and marketing business for the previous six years. 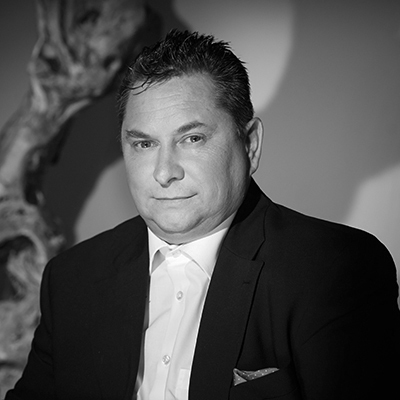 He has stewarded the growth of the business and been instrumental in creating a platform from which to deliver his vision to build a global luxury travel company that merges private travel design, hotel management, property ownership and technology while simultaneously delivering the highest quality luxury travel products and services to clients. Dr Buchholz has over 15 years of experience in corporate finance, working with companies such as Deutsche Telekom AG and Gruner & Jahr GmbH & Co. KG. She has many years of national and international experience in the construction, financing and development of digital business models. Additionally, Dr Buchholz has held management positions in both public and private companies. She ensures the INTOSOL team has the most up to date financial systems and controls to maintain business growth. Robert Mitchell has held non-executive roles as a Director of two AIM listed public companies and operated as an advisor to numerous others. He has extensive experience in capital raising, including managing investment in over 250 private and public companies, often through primary capital input, including in his role as Director AIM Equities/Director Private Equity of ISIS Asset Management PLC, a specialist AIM investment fund. The combination of his experience as an investor in and advisor to high-growth companies will provide considerable depth to the Board and round out the corporate governance team. Marcus Yeoman has acted for a number of AIM quoted companies and various private companies. His early career involved the formation of three companies in IT infrastructure and distribution, after which he moved into small company broking and corporate work with Rathbone Stockbrokers Limited and Cheviot Capital (Nominees) Limited. In 2003, Marcus established Springtime Consultants Ltd and he has been acting as a consultant or non-executive director to a number of listed companies and SME ventures which require assistance with their growth strategies, including M&A activities. His first-hand experience with the capital markets will be valuable to the functioning of the Board. Cornelle has worked in the hotel and catering industry for more than twenty years, including at boutique hotels in South Africa and the Indian Ocean. She has also held management positions in Safari lodges in Zambia and South Africa. Cornelle joined the SOUL Private Collection in 2015 and has since revolutionised the service system and contributed to significant cost savings.